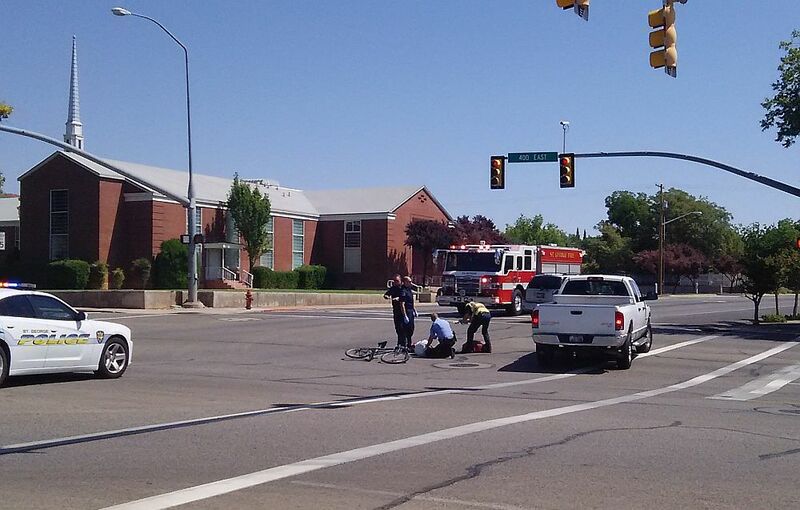 ST. GEORGE — Riding a bicycle down 400 East in St. George and running a red light became a painful combination for a cyclist Friday. The collision, occurring just before 12:30 p.m., sent the cyclist tumbling to the asphalt. St. George Police responded, along with the St. George Fire Department and Gold Cross Ambulance. Trombley said the cyclist was lying in the intersection when authorities arrived and was treated at the scene and transported by ambulance to Dixie Regional Medical Center in St. George. There was minor damage to the car. The cyclist was cited for failure to stop at a red light. Stupid cars! Don’t you realize cycloonies own the road? Cyclist caused accident and cited, what a shock.